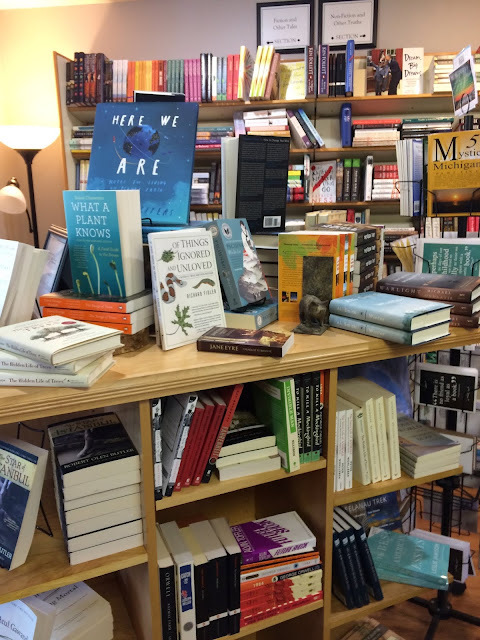 I love a good indie bookstore, and I'm always thrilled when a new one opens near me. 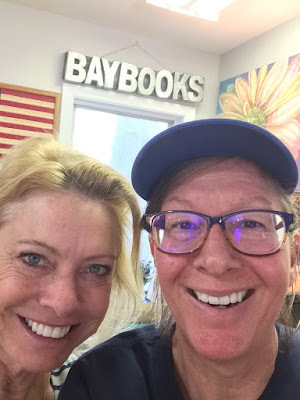 Bay Books opened this May in the lovely town of Suttons Bay. 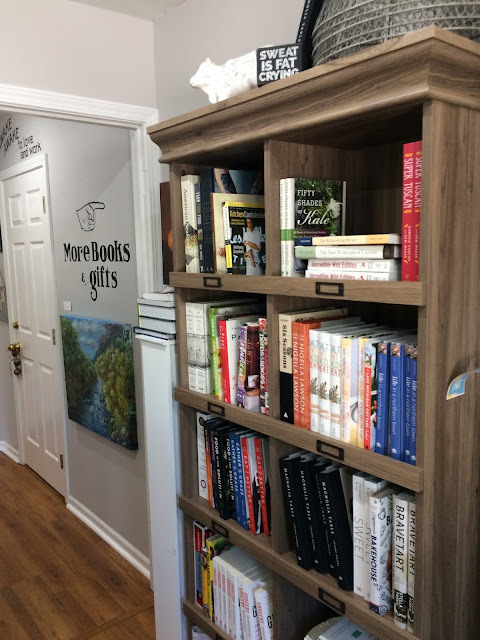 This community has been without a bookstore for several years, so this is an important addition to the stores there. The store has a homey vibe since it is housed in a former house. Books are shelved in several rooms and you can wander from room to room. 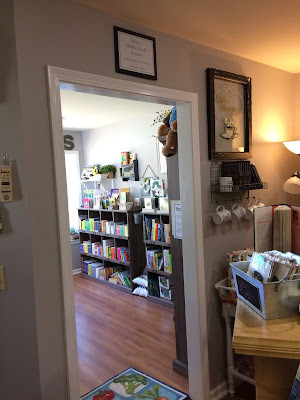 The front room is where the great selection of children's books are kept. After reading about Groff's work as she ordered the books, Tina got as excited as I was about the new book. Indie bookstore owners and workers have such passion about their stores and for literature. 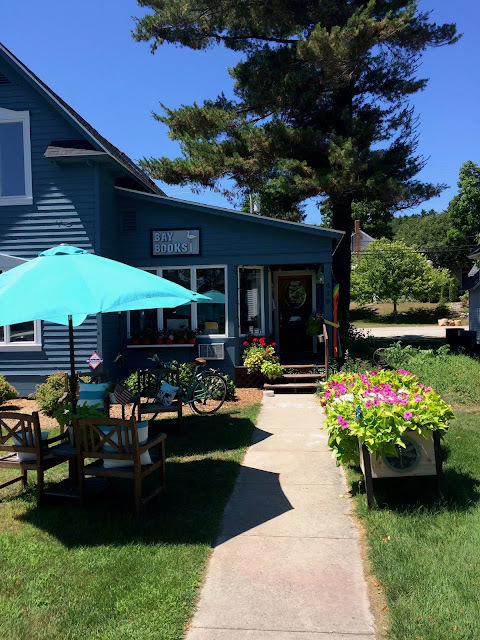 Next time you're in Suttons Bay, stop in at Bay Books. Next door to Martha's Table restaurant. So thrilled you stopped in and gave us a fantastic lead on some wonderful books we will be stocking. Looking forward to your Book Signing visit on August 23rd from 4:00 -6:00! !